Many United Nations member countries have extended their interests to recognize road safety as an important issue to achieve Sustainable Development Goals (SDGs). The number of countries with road safety related legislations, policies and strategies have increased. Some have changed the motorcycle helmet laws. Others have supported regulations to reduce speed limits in urban roads. The Global Status Report on Road Safety published by the World Health Organization (WHO) and Bloomberg Philanthropies in December 2018 reported that despite the increase in positive developments, the number of deaths on world’s roads remain unacceptably high, with an estimated 1.35 million people dying each year. This despite that many countries have legislations to ensure road safety. For example, 105 countries have laws on seat-belt use (representing 5.3 billion people), 46 countries have laws setting speed limits (representing 3 billion people), 49 countries have laws on motorcycle helmet use (representing 2.7 billion people), 45 countries have drink-driving laws (representing 2.3 billion people) and 35 countries have laws on the use of child restraint systems (representing 0.7 billion people). Most of these countries, unfortunately, do not represent low- and middle-income economies. Although the number of global deaths has increased from the previous estimate of 1.25 million, the death rate (per 100,000) has now stabilized. Keeping in mind the increased length of roads, increased number of vehicles use and increased population worldwide in the past this stabilization in death rates can be considered as a positive outcome. Fortaleza of Brazil has achieved 32 percent reduction in road traffic deaths in a couple of years through multi-sectoral efforts. This was possible because of the support from local people and strong commitment from Fortaleza’s mayor. Yes, getting public support to such work was not easy. But with advocacy and dissemination of messages about the magnitude and consequences of road traffic injuries, they overcame this challenge. It is very important that the society supports our activities, but the support from society is only obtained once they see the change. For this we need to provide information on the magnitude, consequences and come forward with certain action plan. In this regard, working with local academia can be of help. In order to provide evidence that will be acknowledged by decision-makers and the society, media can play an important role. Evidence shows that limiting the speed, prohibiting drink-driving, proper use of standard helmets, proper use of seat belts and child restraints considerably help reducing the number of road crashes and probability of death after a crash. These messages need to be conveyed effectively to all the players—from individuals to communities to local leaders to national level decision makers. Such interventions also entail associated costs and investment. Therefore, it is important to convince finance ministers. For example, in Nepal, the International Road Assessment Program (IRAP) has estimated that every dollar spent on road safety will bring the benefit equivalent to 40 dollars. Private sector can support the state with its corporate social responsibilities on such a pressing national problem of road deaths. A success story can be cited from Lusaka (Zambia) where Puma Energy Zambia Plc has been supporting government’s efforts to reduce road traffic accidents by contributing about 45,000 dollars in three years since 2015. The support mainly goes to building safer road infrastructure around primary schools in Lusaka. It achieved reduction of road deaths by almost 20 percent in 2017. These examples show how one decision-maker (or leader) can bring about changes when they recognize road traffic injuries as a serious problem. Mayors of municipalities can influence transport management policies and get support from the residents in turn to demonstrate that change is possible. Many local leaders feel the government hasn’t allocated sufficient budget. In such cases, we can speak to the Finance Minister, whose objective is to improve the economy of the country by alleviating poverty, increasing GDP and happiness of the people. Economic costs of 4,600 road deaths (as per the 2018 estimate of WHO) and thousands of injuries from road crashes are enormous. The World Bank has produced estimates of loss to national and global economy from road injuries and highlighted the macro-economic and welfare benefits of reducing road traffic injuries in low and middle-income countries. 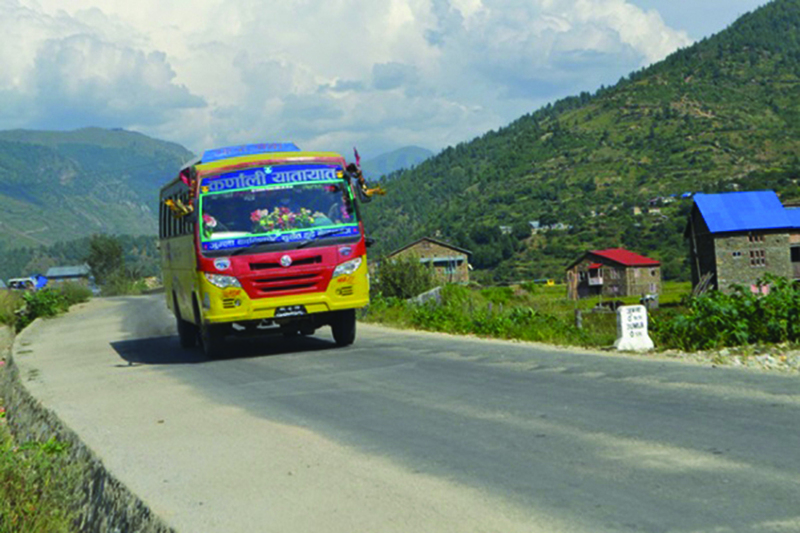 According to the World Bank, reducing road traffic injuries has a positive effect on national income growth, seven to 22 percent increase in GDP per capita over 24 years can be achieved through substantial reduction in road traffic injuries, welfare benefits equivalent to six to 32 percent of the national GDP can be realized from reducing 50 percent of road deaths and injuries over a period of 24 years and it can also contribute to human capital accumulation and enhancing overall social welfare. If Finance Minister, Ministry of Physical Infrastructure and Transport, Ministry of Home Affairs and Ministry of Health and Population realize this, they will be ready to work with enthusiasm through a comprehensive National Road Safety Strategy. WHO report also states that sharply reducing the number of road traffic injuries and deaths enable countries to attain substantial increases in economic growth and national income. Based on WHO’s Road Traffic Injury statistics and other indicators of economy, we can compare Nepal with Tanzania. The mortality rate of Tanzania is three times lower than Nepal. Tanzania is expected to generate an additional flow of income, over a period of 24 years, equivalent to 7.1 percent of 2014 GDP, given that it reduces road traffic deaths by 50 percent in this duration. This would mean that if Nepal doesn’t act to reduce road injuries it will lose seven percent of GDP growth in next two decades.